The Gospel this morning is very short, just four quick verse. Though short, it is an important Gospel to reflect on ending as it does with the assurance that God doesn’t send His Son to condemn us but to save us. And this He does out of His great love for us. There are two things here that we should note carefully if we are to avoid misunderstanding the nature of God’s love and how we are to respond. First, His love comes to us at a terrible cost; the life of Jesus Christ. Unlike the act of creation, the salvation of the world is not accomplished merely by divine fiat. To the spoken word of creation is added now the incarnate Word Who comes down from heaven and Who suffers and dies for us. Only then, after accomplishing our salvation, does He ascends once again to the right hand of the Father. It is only following the impoverishment of the Son that God exalts Christ and gives Him “that name which is above every name.” Yes, “every knee should bow, … those in heaven, and … those on earth, and … those under the earth, and … every tongue should confess that Jesus Christ is Lord, to the glory of God the Father” but they do so not simply in response to His majesty but above all the humility of His great love for us (Philippians 2:6-11). To say that I believe “in Him,” (John 3:15) and this is the second point, means not simply to admire the divine humility but to imitate it (Philippians 2:5; Ephesians 5:21). Imitating the humility of God will put us at enmity not only with the world but also with those in the Church who would have us make “a good showing in the flesh…in order that they may not be persecuted for the cross of Christ” (Galatians 6:11). Though the world’s disapproval can be hard, to bear, it is something that we expect. 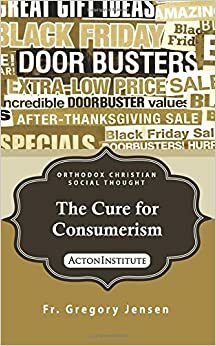 What is not expected, and so what can tempt me to bitterness and even cause me to lose my faith, is when my fellow Christians condemn me for not meeting the world’s expectations. The folly of all this, as Paul is quick to point out, is that no one can meet the world’s expectations. It isn’t so much that the world demands hard things from us as it is that its expectations are always changing. And how could it be otherwise? Creation as it comes from the hand of God is dynamic; to be alive, to grow, means to always change. What sin does is make changing, rather than Christ, the goal. Daily life’s myriad changes are meant to bring us into an ever greater likeness to Christ. G.K. Chesterton writes that “The old humility,” that is Christian humility, “was a spur that prevented a man from stopping; not a nail in his boot that prevented him from going on. For the old humility made a man doubtful about his efforts, which might make him work harder.” The world asks us to change not to become more like Christ but to make us “doubtful about” the possibility of salvation and so make us “stop working altogether” to become more like Christ. As I said a moment ago, sometimes the call to meet the world’s expectations has the “form of godliness.” What it conceals is that denies the power of God. “And from such people,” Paul tells us, “turn away! For of this sort are those who creep into households and make captives of gullible women loaded down with sins, led away by various lusts, always learning and never able to come to the knowledge of the truth” (2 Timothy 3:6-7). This is why we must always return to the Cross. Like the Apostle to the Gentiles we are to preach nothing “except Jesus Christ and Him crucified” (1 Corinthians 2:2). And like Paul we are to glory in nothing “except in the cross of our Lord Jesus Christ, by which the world has been crucified” to us and we “to the world” (Galatians 6:14). So what does it mean to imitate the humility of God? First it means to commit ourselves to be disciples of Christ. Second it means to actively witnesses to the peace and mercy that He brings. The worldly person, whether Christian or not, only serves himself . He does so because he only loves himself. We are called to something else, something better then the pursuit of mere self love or popularity. Christ calls us to lay aside everything in us that would destroy love. Turning my back on God or being indifferent to my neighbor poisons my soul, it cripples me and eventually makes me unable even to do what should be easiest for me, to love myself. The great sorrow of the being unrepentant—again whether baptized or not—is that I can’t even truly love myself. So let us imitate the humility of Christ and Him crucified. In ways great or small, let us work not simply for the good of others but also for their salvation and, in so doing, be faithful to the commandments of Christ.